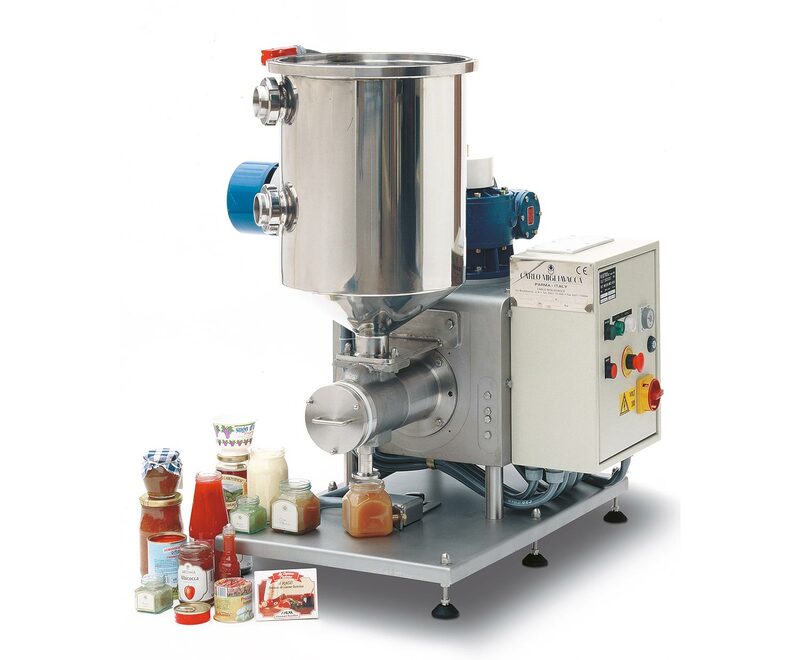 Semi-automatic volumetric mechanical piston-action dosing and filling machines ideal for honey and mixed products with whole pieces, liquid and pasty in glass, metallic, or plastic containers. 28-1.250 Gr. 800 CPH up to 500 Gr. 28-5.000 ml. 32 mm. Fine volume is adjustable by means of electric motor (optional). Hourly output and dosing speed are adjustable by electronic frequency variator (optional).